It’s been a whirlwind few months since we moved into our ‘forever home’ in June. In some ways it feels like we have never not lived here and in some ways it still feels like a bit of a dream. The whole moving house process was so quick it took quite a while after we moved in for it to actually sink in that this house was ours. I know it is cheesy to say but the fact we saw the house by chance (we originally were looking at something completely different and were going down the new build home route) and then the owners wanted to move quickly, just means it feels like it was meant to be. From the first moment we viewed it and we walked in and it smelt really badly of dogs and cigarettes, masked with an obviously huge spraying of air freshener, I just felt something. I felt like it could be the most incredible family home even though it had so much work needing to be done. Actually from the second we first drove down the street I fell in love with it, it was so different to our old street where as much as I loved the home we had created inside, I never got that feeling of driving down the road and seeing my home and feeling this sense of contentment. We walked in to view it and the house was done in no way whatsoever to our taste, it was tatty, the doors were yellow from all the cigarette smoke, the bathrooms were mouldy, but it just felt right. It was a far cry from the new build house we had been tempted to put an offer in originally, where everything was pristine and done in a blank canvas of beige and white. I remember so vividly standing with Jon and my Mum on the very first afternoon in our new house, after that initial excitement and anticipation of turning the key in the door for the first time had slightly faded. We were stood in the kitchen surrounded by boxes and with stuff absolutely everywhere and I remember turning to them and saying ‘it feels like home already’. I have no idea how that was possible, but it was. That first afternoon my Mum and Jon kept shouting at me because they were doing all the hard work of unpacking, cleaning and sorting while I just walked from room to room in a bit of a daze. They kept asking me what I was doing and I said ‘I’m just walking around looking. I can’t believe this ours.’ I still do that almost six months on. Jon will often hurry me up to come to bed but as I go around turning all the lights off for the evening I stand in each room just for a second and stare. It’s not a mansion by any means, but it’s our home. Our family home that we can grow together in, that we are already making memories in, and I am so grateful every day that this is our house. Talking of the kitchen, that’s one big project that we are currently saving for, hopefully in the next couple of years. To me the kitchen is the very heart of our home and I am so excited one day to have a dream kitchen that can grow with our family. 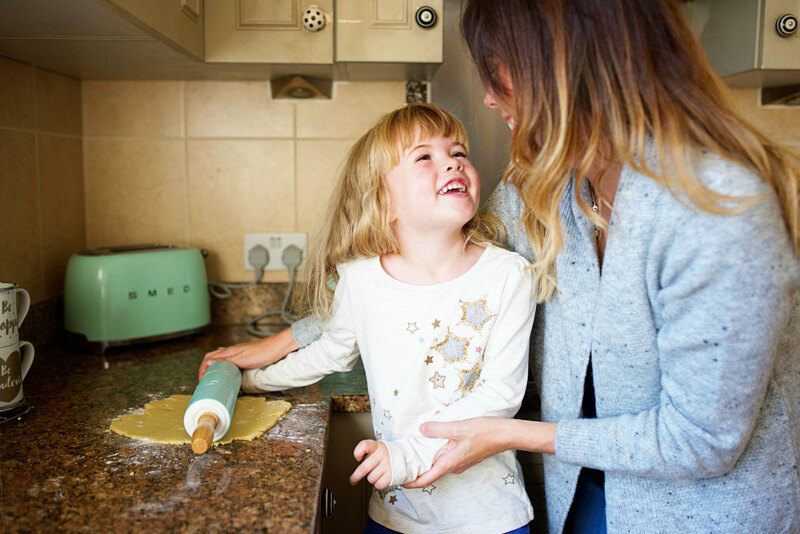 When I think about our kitchen it quite simply is integral to our family life. 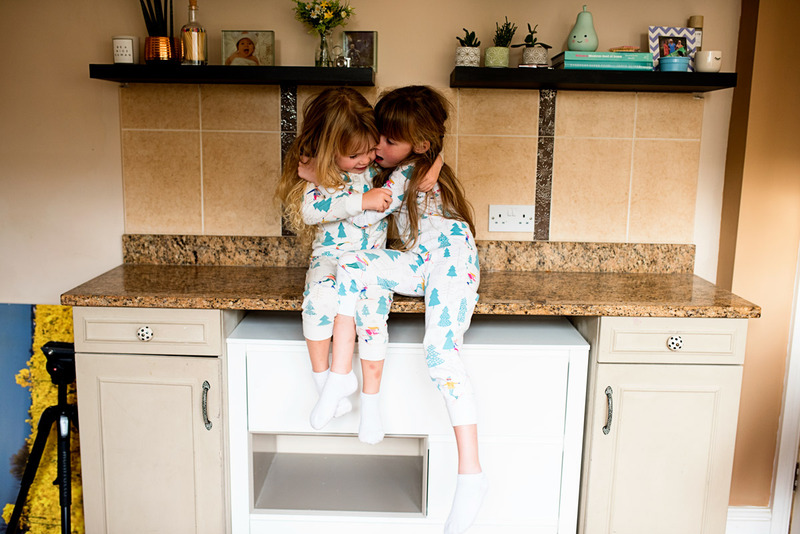 It is the first place the girls go after they get back from school, after they’ve kicked off their mucky school shoes, they head into the kitchen on the hunt for a snack. They will both sit perched on the side (I can’t wait to have a breakfast bar one day) like a pair of old ladies on a park bench and we will chat about their day. They tell me the vitally important things like what they had for lunch, or who was naughty that day and went on the rainy cloud (like the naughty step) at school. 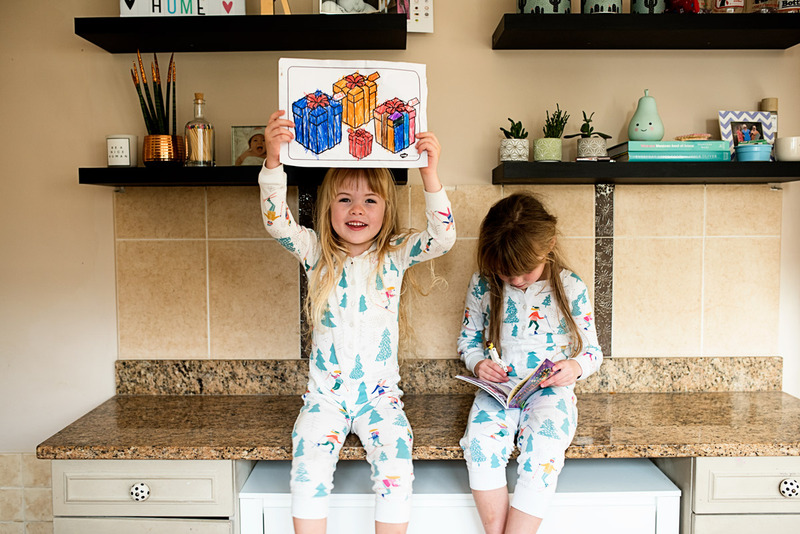 They sit there while I make them a drink and they giggle non stop, showing me their reading books or artwork they have done. It’s only ten minutes of the day that I realise I look forward to without even realising it’s a big deal. The thing is I remember doing the same after school with my Mum, the exact same thing, sitting on the side and chatting to her about my day. Or the kitchen is the place where I stand leaned against a cupboard after we’ve put the children to bed on a Saturday evening with a glass of wine (or diet coke) in my hand, chatting to Jon while he makes us our favourite tradition of Saturday night fajitas. After the craziness of yet another busy week it’s that feeling of calm, where I get in my comfy clothes and feel myself begin to unwind. We talk about everything and anything, from work, children, to house stuff and life in general. It’s something so ordinary, such a routine part of our family life, but I know I would miss it if it stopped. It’s just the little things about being a family. 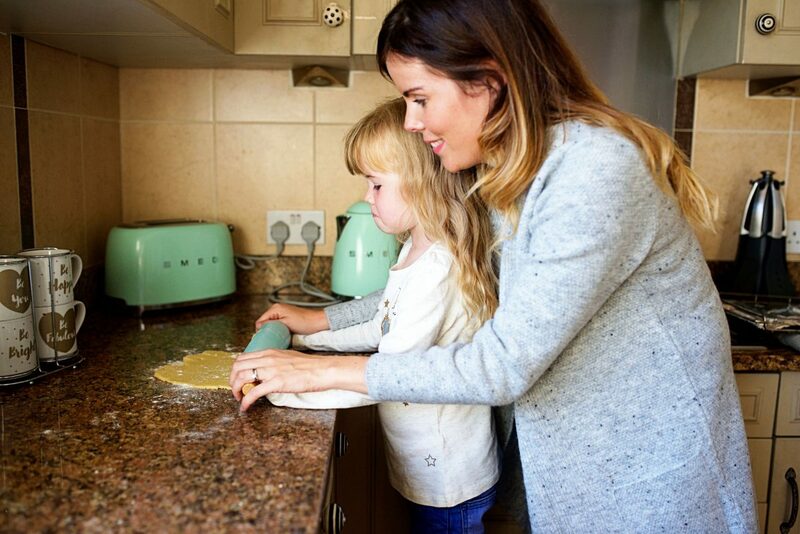 Magnet Kitchens recently got in touch with me to see if I wanted to work with them as they are celebrating the family moments that happen in the kitchen. 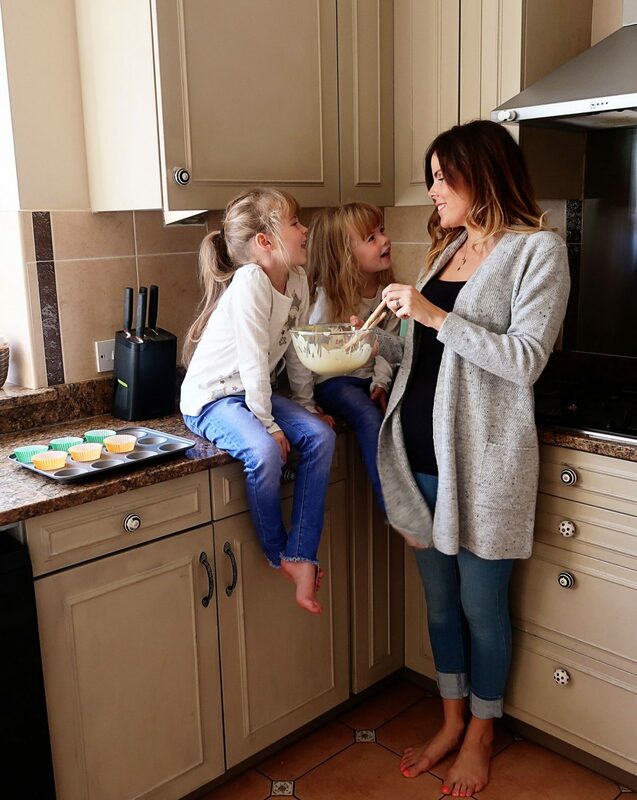 They want to celebrate that the fact that the kitchen plays a core role in family life. And it’s so true, you don’t even realise just how much it does until you really think about it. It really is the heart of our home where we interact and are just there together without really realising it. Often on an evening when we are eating altogether Jon or I will be cooking and the girls will be running in and out telling us about this or that, while Wren will be crawling around our feet taking every foreseeable thing out the cupboard (his favourite being the cereal and every single one of their plastic plates and bowls). 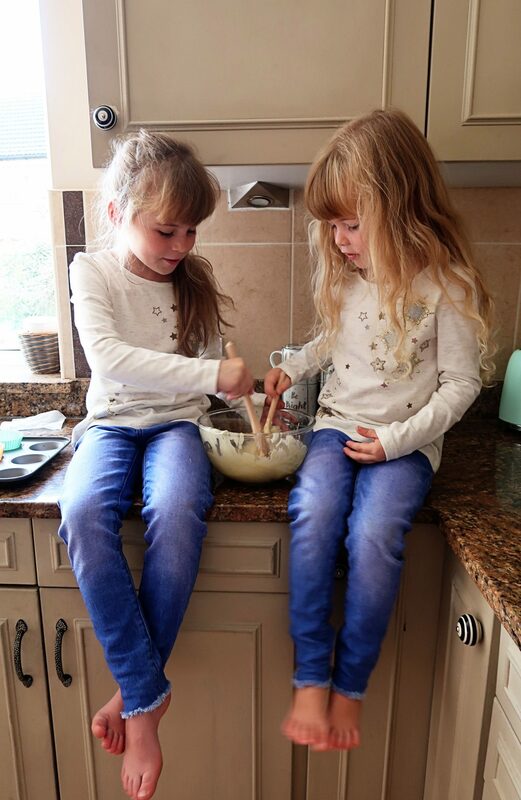 Or at the weekend we like to bake together, it’s the girls favourite thing to do and we will make cakes while they fight over who licks the spoon and who gets to stick their fingers in and lick the bottom of the bowl. Our kitchen in our last house was small but our new one is a lot bigger (for us anyway). 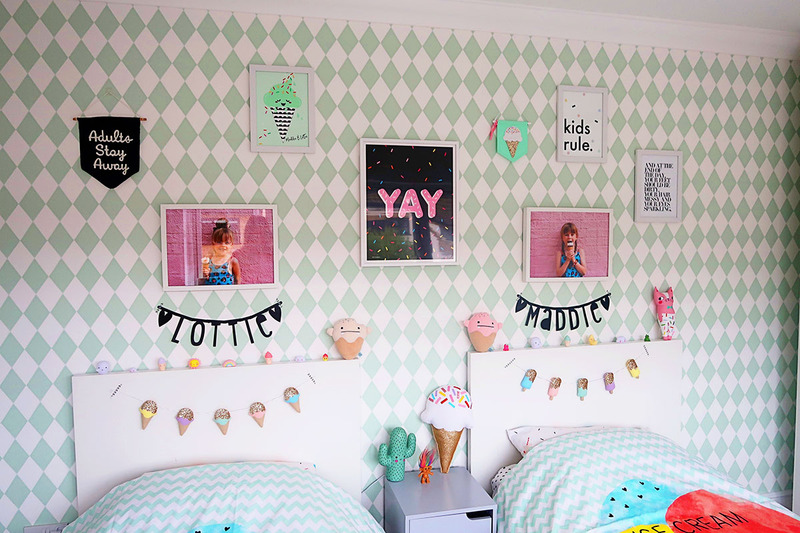 At the moment it is perfectly fine, it’s not our style at all and it is really quite tatty in places, but we have more than enough space plus we have the holy grail of house rooms in my opinion and that is a utility room. (I was so excited to have a utility room when we moved). One of the huge things that made us buy the house was because the kitchen space has so much potential. It sounds a bit silly but I can just picture it in a couple of years when it has been done completely to our taste. I dream of having a kitchen with a breakfast bar, with industrial lighting and all the mod cons. In our last house when we replaced the kitchen we went for very minimalist and contemporary gloss white, but for the new house I would like to eventually go for a more classic style, but still stylish. I love the Newbury Grey style, or perhaps the Grey Slab, I love the idea of following the recent kitchen interior trend of having no top cabinets and instead having lower cabinets and lots of open shelving. I’d love a new cooker, or perhaps something like a Range Master, and I’ve always wanted an American style fridge freezer (I always joke to Jon that my life goals will peak if we ever get a fridge with an ice dispenser). And I’d love to do the utility room in the same style as currently our utility room is even tattier. It is definitely something we want doing in a couple of years but of course it all depends on budget. I would rather save and get a really nice one with exactly every thing we would like done perfectly, than compromise and rush and get something that isn’t our dream kitchen. Our old one is perfectly fine and will see us through until we can afford to replace the current one and we can continue to make happy memories in our family home. But when the time comes I can’t wait. It is one of my favourite things doing up our family home and the kitchen is probably the most exciting on the entire list. Weekend baking with my girls. 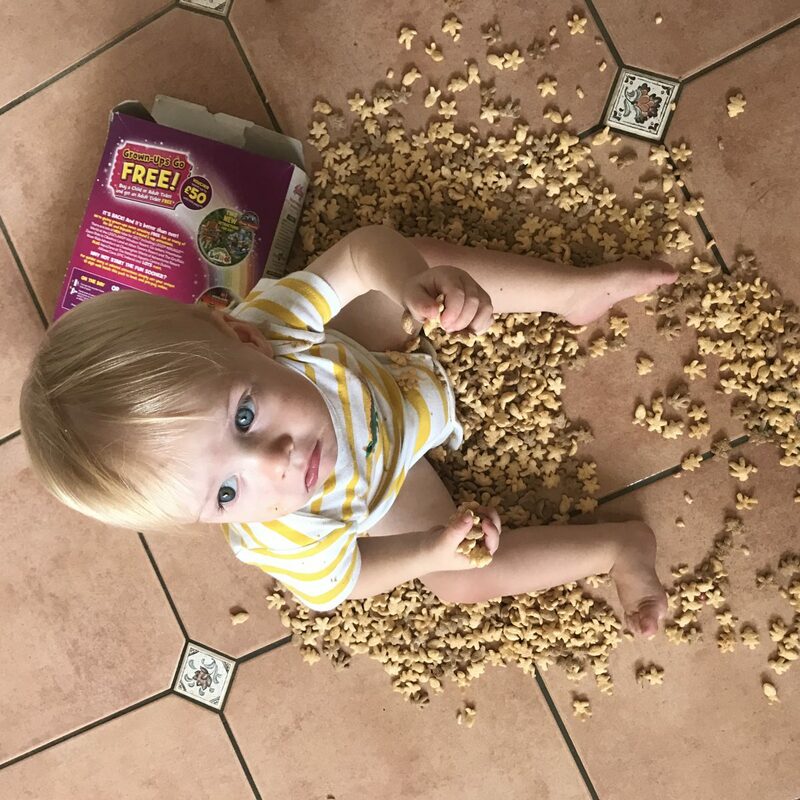 I still love this photo of Wren raiding the cereal cupboard. Chatting to me after school. Considering we have only been here a short time we have already done quite a lot of work to other parts of the house. When we first moved in within two days we had painted our boy’s room as that was the one that smelt most strongly of smoke (in fact it took several coats of paint, new carpets and eventually new windows to stop the smoke smell) and it wasn’t long before we then started on the girl’s room and the play room. 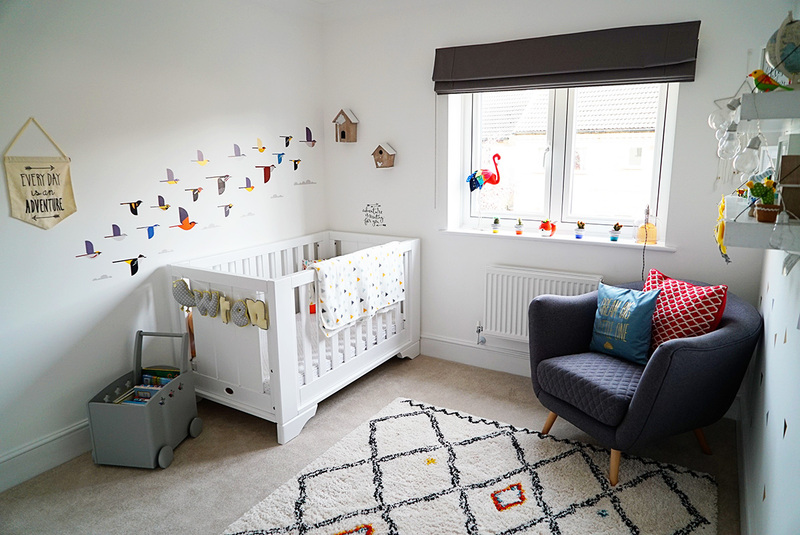 We had already decided before we moved in that these would be the rooms we tackled first, mainly so we could get the children settled and comfortable in their new surroundings. I love the interior decorating process so much, I love spending time planning a room and decorating, I love the excitement of getting it done step by step, that feeling of satisfaction when you walk into it and it feels cosy and special. In September we embarked on our biggest project to date- getting rid of our old fashioned hexagonal conservatory and adding a new open plan family room on to our living and dining space. At that time we also replaced our rotten old wood windows as well, something which was expensive but completely worth it. We kept some money back from the mortgage to do it and at first we were undecided as to whether that should be the first big job but we are so glad we decided to go for it. The building work was finished at the start of November and it is pretty much complete bar adding some furniture and trinkets here and there. 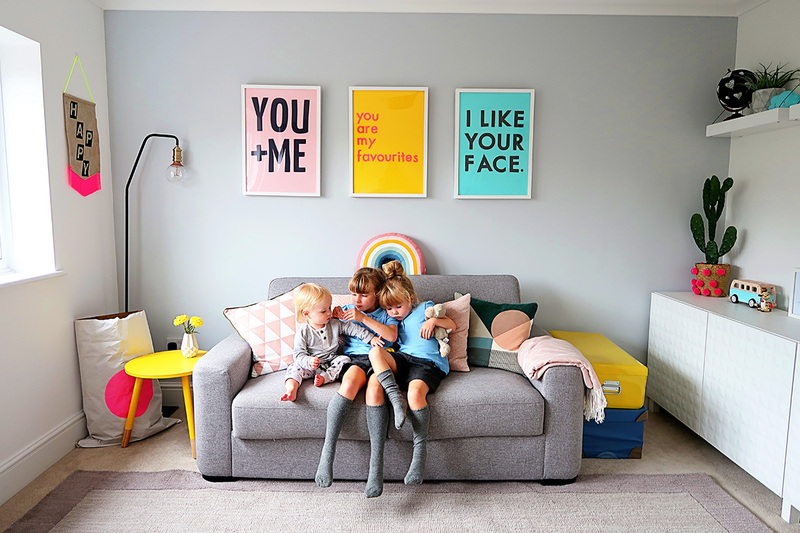 To say it has transformed our home is a complete understatement, it has turned it from a pretty unusable and impractical area into the perfect space for our family. It is entirely our tastes and it feels so amazing to have something that we have completely designed and chosen ourselves. Our house is slowly turning into a very special family home. In terms of other projects we still have a few big projects that will need doing with this house. Over the next couple of years we would like to undertake a complete garden makeover, adding artificial grass like in our old house, and we have the two upstairs bathrooms that will need doing at some point, plus the little downstairs toilet too. Our bedroom still needs doing, as does our little garden office, and I have big dreams way in the future of one day doing a garage conversion, and a loft conversion too if we win the lottery. Basically I think I am going to forever be wanting to modify, add and improve our home. We have no plans to move until the children have long flown the nest, if we ever do, so we have all the time in the world to plan our home.